VdB 10 (also catalogued as DG 12, Magakian 32, and probaly LBN 680) is a small reflection nebula in the constellation Perseus. You can find it starting from the star η Persei, an orange giant of magnitude 3.77, moving about 2 ° towards the ENE, until you reach the fourth magnitude κ Persei. 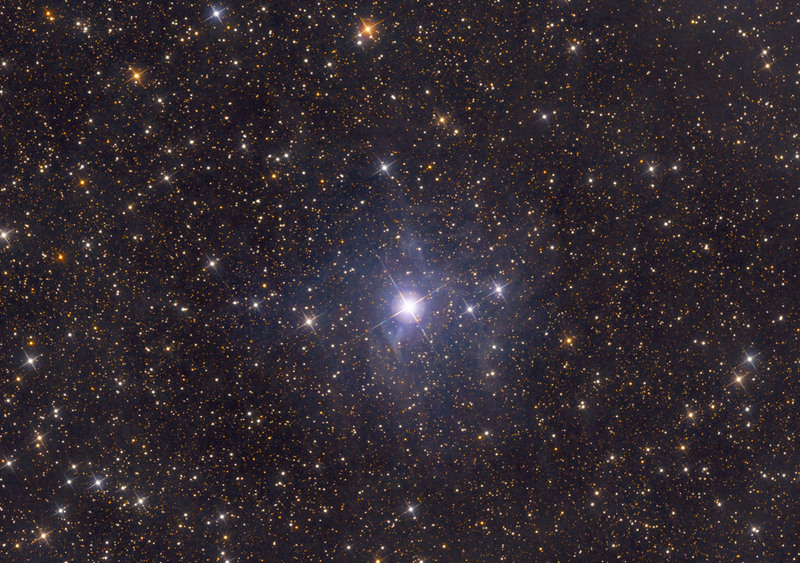 From here continue in the same direction for 1.5 °, until the white star of magnitude 5.8, cataloged as HD 20041. This is at the limit of visibility to the naked eye. Long-exposure performed with the aid of a telescope allow to show how this star is wrapped by a soft haziness, which becomes apparent especially on the east and west; the nebula reflects the light of this star, thus showing a bluish color. The system star - nebula is about 1614 light years from the Earth.